Dr. Martens 8053 is a unisex shoe that's made for comfort, with a padded ankle, air-cushioned soles and a lightweight, nappa leather which gives a soft, luxurious handle and appearance. 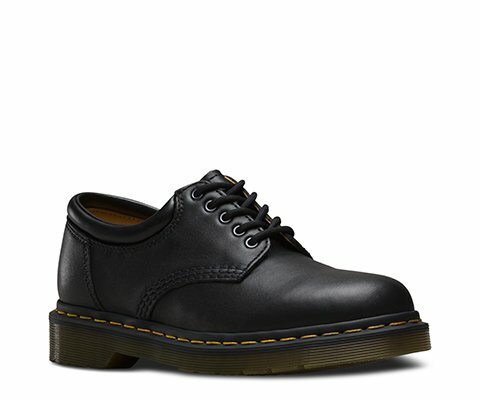 this 5-eye shoe is designed with Dr. Martens classic style: Grooved sides and yellow stitching. Dr. Martens 8053 is a Goodyear-welted product. The upper and sole are heat-sealed and sewn together, not merely glued like many footwear constructions. Constructed with Dr. Martens iconic AirWair™ sole, which is oil and fat resistant, with good abrasion and slip resistance.